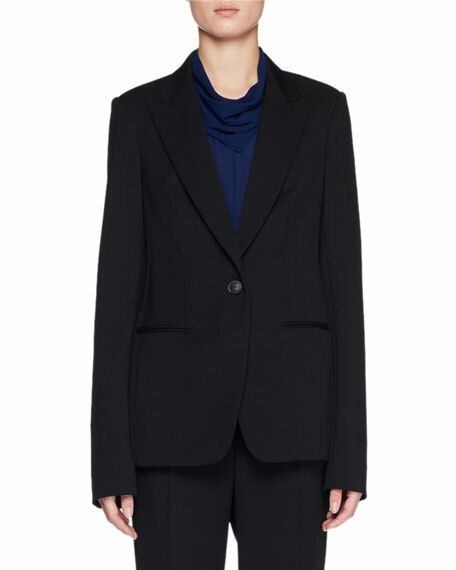 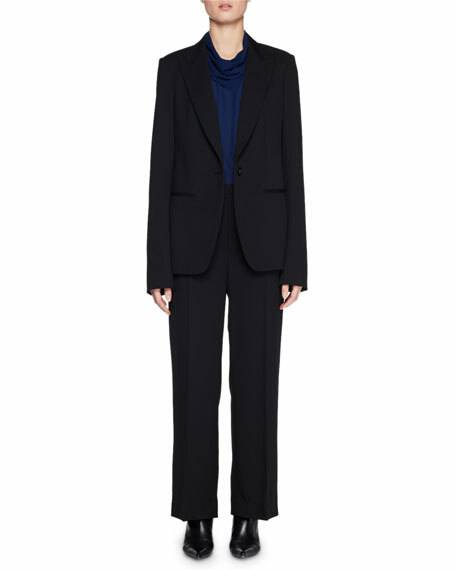 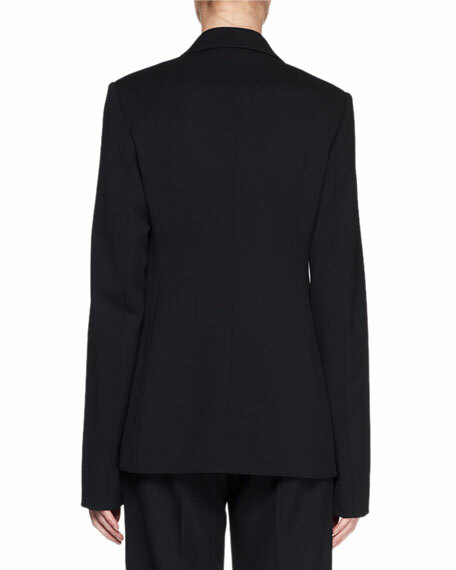 The Row "Naycene" single-breasted wool jacket. 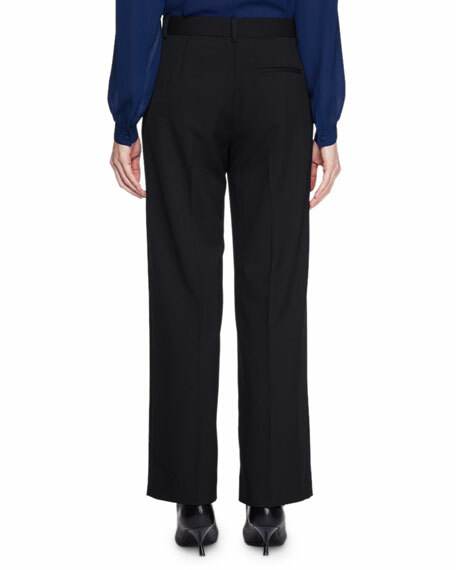 The Row "Runa" silk top. 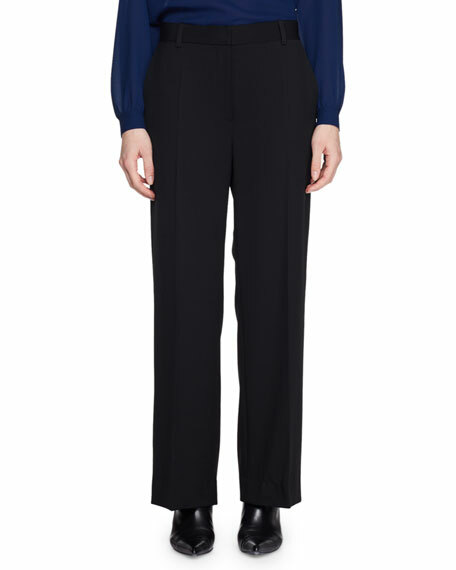 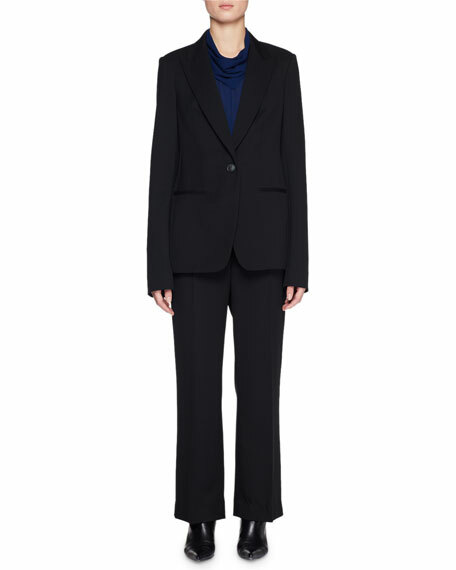 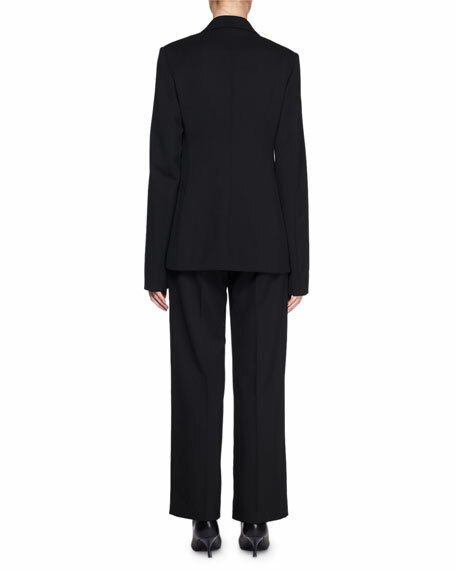 The Row "Ina" wool pants.